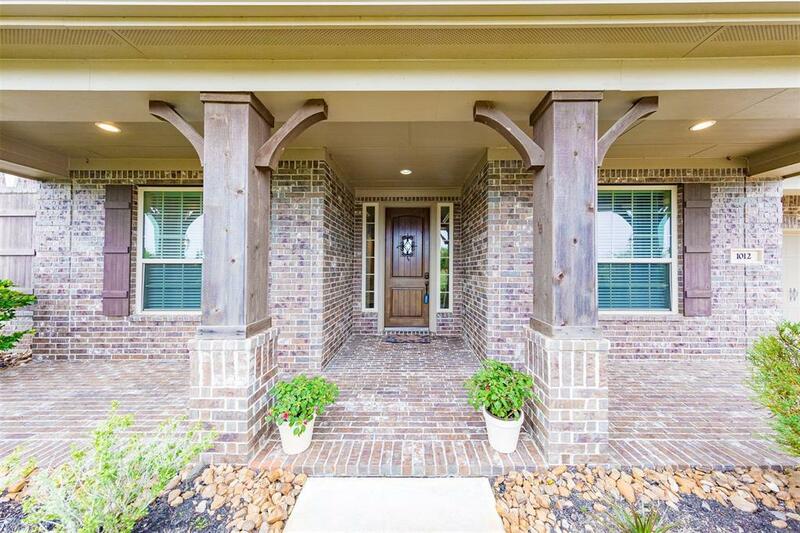 Gorgeous 4/3.5/3 with study, formal dining, gameroom, pool, spa & outdoor kitchen in a quiet neighborhood in Friendswood ISD. 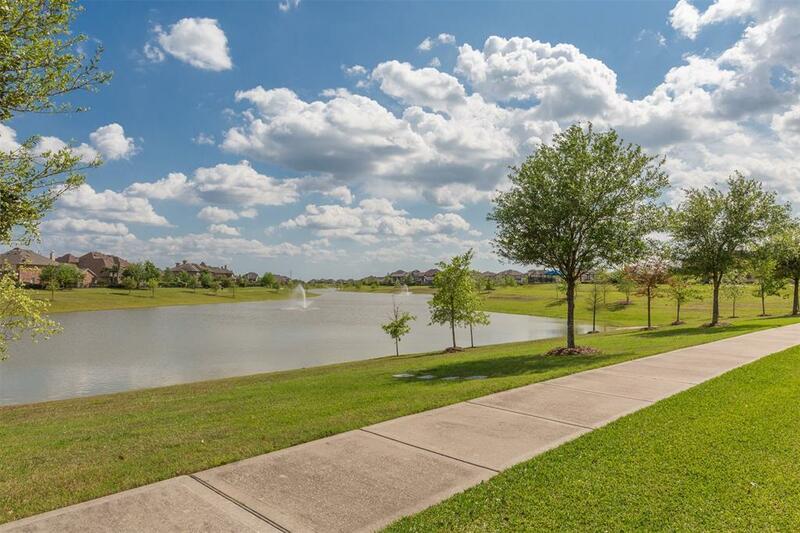 One of the neighborhood lakes is directly across the street & one block away from the main recreation center. 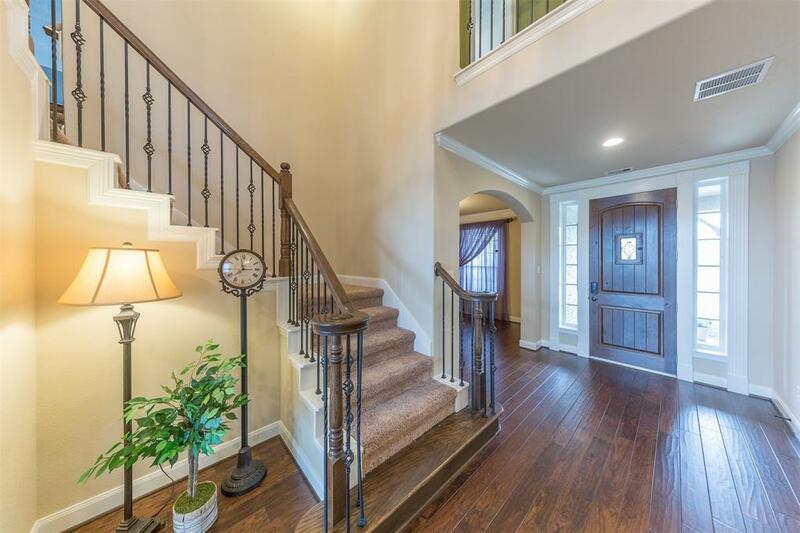 Features include hand scraped wood floors throughout most of the 1st floor & upstairs gameroom. Open & flowing floorplan - great for entertaining family & friends. Kitchen features, custom cabinets, under cabinet lighting, granite counters, stainless appliances, oversize island with breakfast bar. 2-story family room with cast stone, gaslog fireplace, built-in entertainment center open to the kitchen. 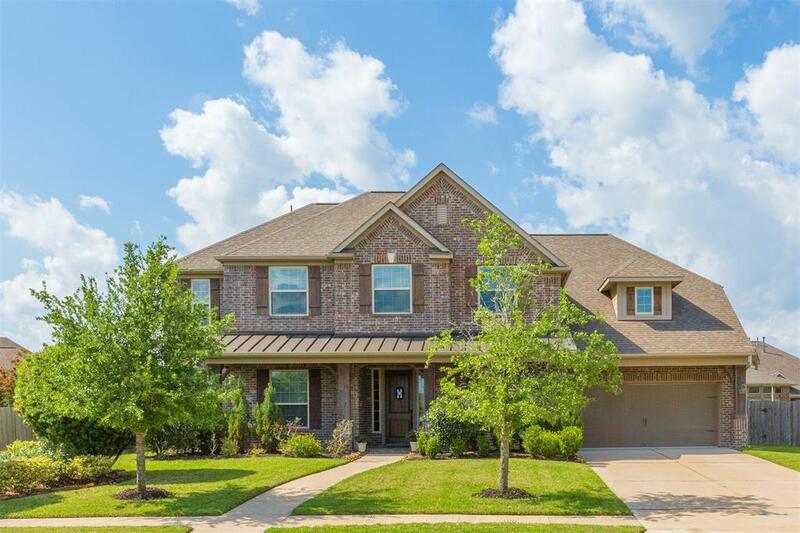 Wonderful master suite down with sitting area, 3-sided gaslog fireplace, Master bath features separate lavatories, oversize shower & jetted tub, huge walk-in closet with built-ins. Upstairs are 3 bedrooms, 2 baths, gameroom with balcony overlooking the backyard paradise. The perfect "Staycation Home" - you will never want to leave. Must see to appreciate.